Mehron Skin Prep Pro 120ml is a primer for all skin types under make-up. 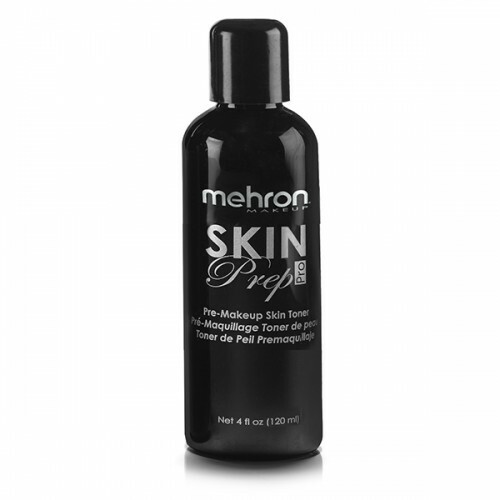 It absorbs excess sweat, oiliness and shine which allows make-up to stay matte and stay put for hours. It has a slight stickiness to it that allows make-up to grip to the skin. Suitable for all skin types and the clever bottle has an anti-spill spout.